The American eel has always been a species that has been monitored within our program. They are frequently caught in our smolt wheels, fyke nets, fish-net trap, eel pots, and through electrofishing. We have created a project that will further explore this species in relation to the causeway gates being open and is further discussed below. 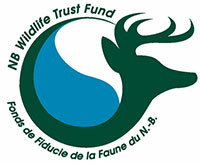 This project addresses: 1) targeting a threatened species; 2) a species with cultural significance to Aboriginal people; 3) support for enhancement of wildlife of cultural importance to Aboriginal communities; and 4) building capacity in the Aboriginal community to participate in wildlife conservation action. Widespread decline in the American Eel population has been noted for some time and is well documented. As a consequence, by 2006 eels in Canada were designated as a species that warranted “Special Concern”, and their status was re-examined and raised to “Threatened” in May 2012. This species is being considered for listing under the federal Species at Risk Act, but currently it has no status. Public consultations are underway (from November 23rd 2015 to March 28th 2016) to evaluate the listing of American eels under SARA. Eels are of particular interest to Aboriginal people in eastern North America, such as the Mi’Kmaq of Fort Folly First Nation because of traditional usage of eels for food, medicine, ceremony, and spiritual values. 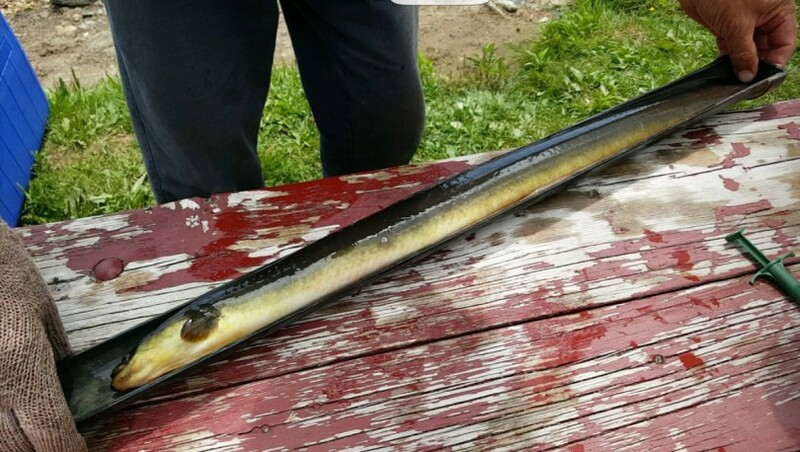 The project is going to examine American eels (General Status of Species in Canada ranked Secure; COSEWIC: Threatened) within New Brunswick’s Petitcodiac watershed to renewed tidal flow following opening the gates of the Moncton to Riverview causeway and monitors swimbladder nematode, an invasive parasite first detected infesting Petitcodiac eels in 2013. While the impact of this parasite on eels remains under investigation, there is consensus that blocked or reduced passage contributes to eel decline across their range. That said, eels were one of few species to navigate the causeway, and signs of an improved eel fishery surrounding it suggested, counterintuitively, that it might have created useful eel habitat. Concern that emptying the headpond would displace eels was noted, but the value of upstream habitat for other diadromous species was deemed to outweigh that risk. Since opening the gates, no decline in eels has been observed. Instead, there is evidence of an increase, with progressively larger catches of eels aligned with increasing tidal amplitude. To quantify this, from May to October 2016 and 2017 eels will be trapped, tagged, and tracked between: a headwater lake, tributaries, head of tide, and the estuary. Anticipated benefits include: revealing movement; improving reporting (eel numbers appear to be increasing, yet uncertainty about recapture rates limits analysis); and testing ecotypic variation (freshwater eels being larger than saltwater eels) by comparing habitat usage to morphology.